Nicole Noll is a social psychologist, researcher, and instructor in the Harvard University Department of Psychology. 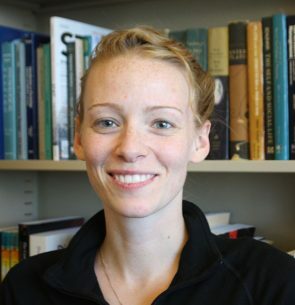 She studies everyday actions like posture and gestures to learn how they influence cognition, and is especially interested in gendered behaviors. Nicole teaches courses in persuasion, nonverbal communication, research methods, and psychology of women and gender. Nicole co-founded the Women’s Coding Collective (http://thewc.co), a collaborative learning community for women coders and creators who are working and learning at the intersection of web development and entrepreneurship.